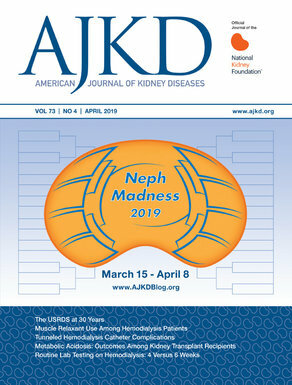 The AJKD Blog team is gearing up for NephMadness 2018, which will start March 15! ICYMI, we’ve been counting down the Top Ten* NephMadness blog posts over at Facebook and Twitter (side note: like/follow us for daily updates from AJKD). We’ve compiled them here in case you missed them the first time! *Note: The Top Ten posts do not include very helpful guides such as NephMadness for Dummies or NephMadness 2017: What’s Up with That?